I bought the viv custom made from ebay with everything apart from dimmer and UVB bulb, my 3 other vivs have Arcadia 12% 36inch tubes. Only bought the compact UVB because the fitting was already in their and needed it for the quickest set up, the covers on the heat bulb have already been taken off, was hanging from it as you say. That's it now all eggs hatched the other day was just waiting on the last 1. But today i cut the egg open to see why it's not hatching, shriveled up and what not but nothing happened. Anyway found a deformed dragon inside, it had 2 heads so don't no what has happened there. 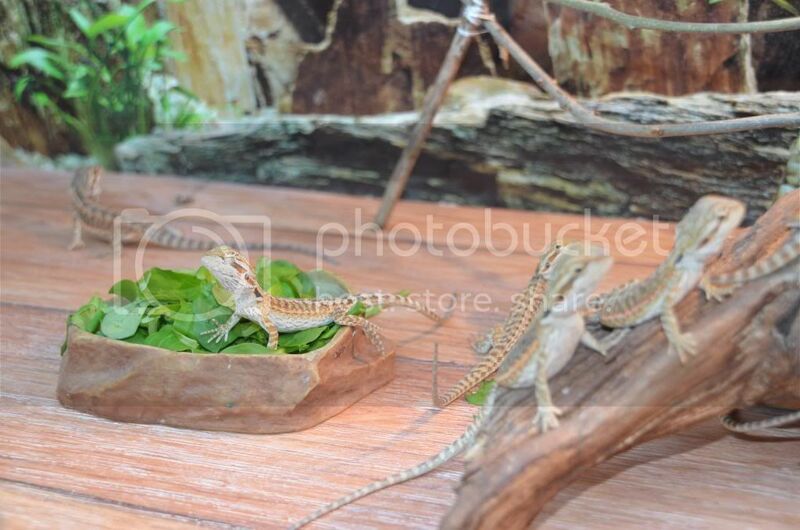 Just youtube and others have had twin headed dragons, but don't go down to well come feeding time. Just to confirm we hatched 3 of her clutches, and bought 1 clutch in and only lost 3 dragons. Used a reptibator with another digi stat and humid stat, the built in 1's are way too high in the baitor and gives off wrong readings. Used some type of moss for laying the eggs on, and placed in takeaway boxes with lid and air holes. Temp on the baitor was set at 33.5 to get 30 at egg box height, humid was 84% AVG 65% low 90% high. Needed to buy 2 more 4ft vivs now have 4 4ft vivs, 1 is for my bro when we have sold the last dragon. 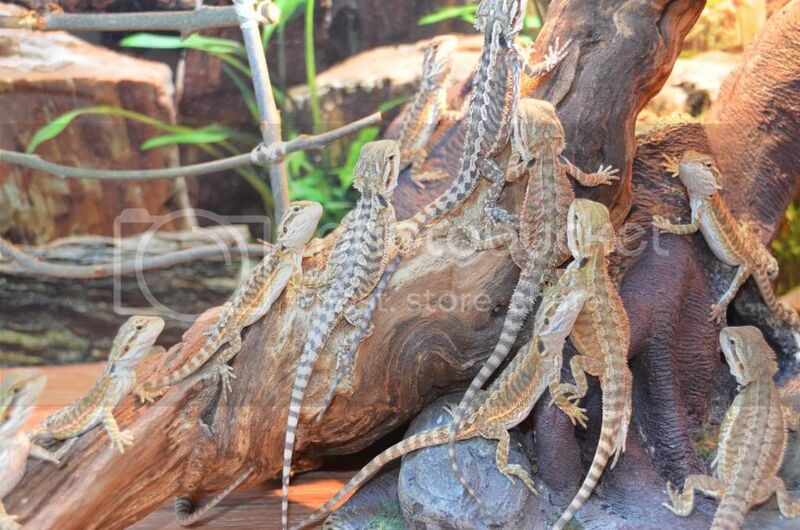 18 babys was in 1 4ft viv and had no problems regarding fighting, nipping each other. Had plenty in the viv for them to do and plenty of areas with good heat, TBH i think this nipping goes on if they are hungry or lacking in decent areas. Not advising to keep this many in 1 viv, but i had no problems at all. This was done mainly because i could, and wanted to see new live forming and growing. It was and still is an experience because we still need to sell a good amount of dragons. 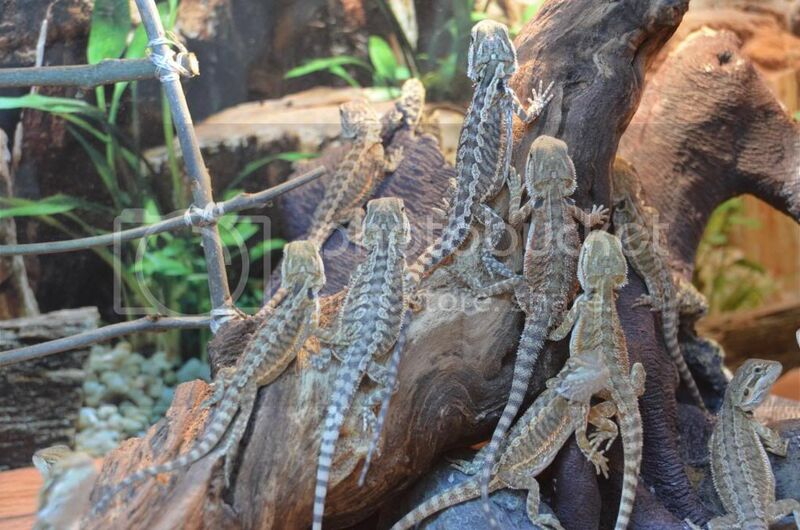 The local pet shop had the first 2 clutches 28 dragons, another pet shop just tuck 7 8 week old ones yesterday. 6 crickets a head X3 times a day X 59 dragons 1062 crickets is about £7.50 a day plus greens. Minimum cost of food £420 plus greens over 8 weeks, minimum because they eat more than 9 each day. Plus bigger the dragon bigger the food, bigger the food less per box. Total main cost of £1125 and raising till all babies sold. Nappy bags for poo, clening for the vivs, baby wipes and whatnot N/A in cost the wife bought these so not sure. Some other cost but the main 1's for me are listed. I have tried to give as much info regarding my experience, but has i did not log all spends then some stuff will be missed. If somebody had given this info above would i have still done it?? well yes i would it was never about the money in the first place. But other people now may think twice before jumping in and hatching dragon eggs. Selling dragons made no money at all lets get that clear, unless you get food, vivs for free that is. None have been sold on the web, and have been listed on 2 websites just like to be clear on that as well. Was sold to the LPS's only at £10 from 1 shop and £8 from another, so don't even cover it's food for 8 weeks. Hope this info proves helpful to some and if oats missed i will edit. They are lovely looking babies. Some great colours. 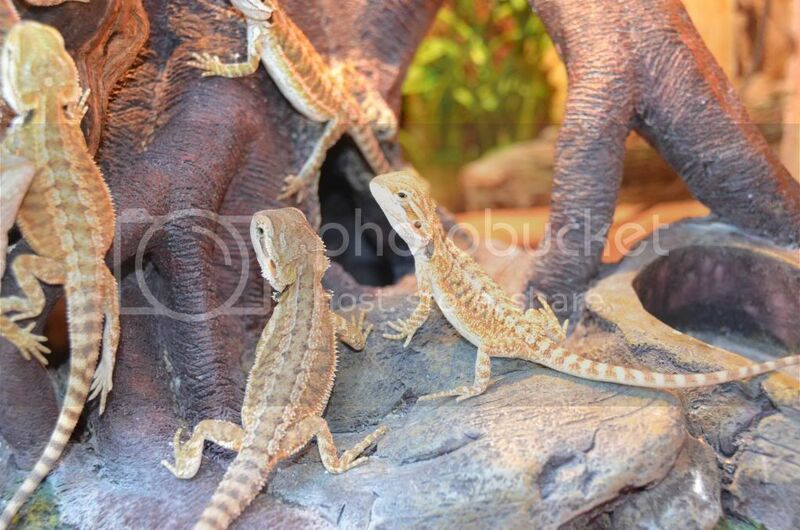 I agree there is no money to make breeding Beardies. So many people do it thinking they will be the next Lord Sugar but end up being out of pocket. When I first got Tia she was with a male and they bred and I incubated the eggs. I really didn't know what I was doing and only managed to hatch 4 out of 20, but wow it was hard work finding homes for them. (Rick probably remembers my very first post. Im a bit ashamed of it now TBH because I was so inexperienced and must have sounded like a right c*ck at the time) But you learn from your mistakes and I have never wanted to breed again. Great post - shows UK establishment costs well and is informative. I understand the desire to try breeding, so one bit of advice I'd offer to anyone else wanting to hatch a clutch and that is to only keep 10~15 eggs and freeze the rest plus any further clutches. Well done. Although I don't breed, and have no intention of doing so. I find the whole subject of breeding Dragons fascinating. So I read these topics a lot. Keep it up. Some great pics and info. Wanted to give my experience and cost involved in breeding, i had no intentions of breeding she just laid eggs so thought why not. If you're going to try then you should know it's not plain sailing or cheep. If you don't have this then buying bulk is not really an option, loads will die before they get used. Found that all very interesting and that you made people aware of all that is involved; its sad all the pets that end up in rescue or on sites like gum tree. A responsible owner knows its a life commitment owning any pet as they are part of the family.